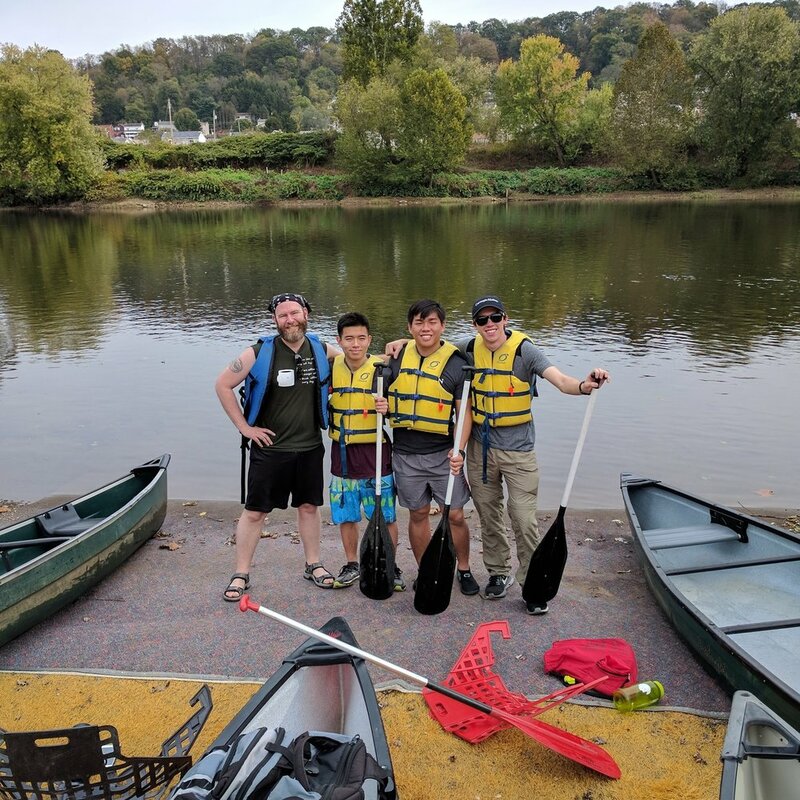 On October 21, 2017, Lane Darby, Brian Lee, Brandon Pek, and Michael Jehn headed to Youghiogheny Canoe Outfitters in West Newton, PA (not far from McKeesport) for a peaceful, relaxed Saturday afternoon canoeing trek on the Youghiogheny River. The weather was perfect for an easy autumn paddle in calm waters: warm, partly cloudy, and lightly breezy with the heady fragrance of fall's gradual transitions in the air. 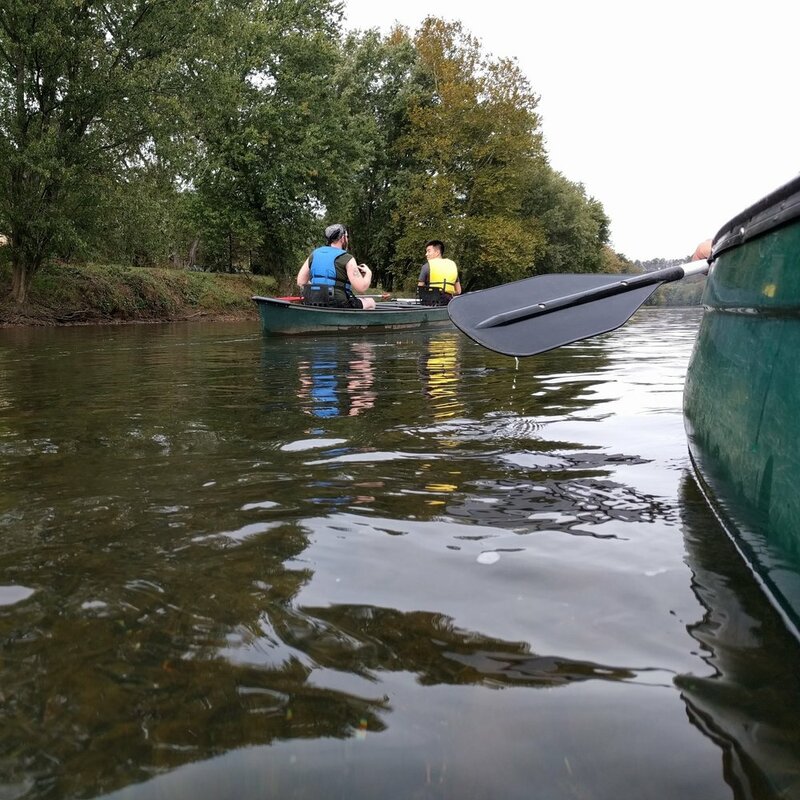 After being dropped off upstream along with their canoes, the group traveled about four miles down the river and back to the outfitters. Freight trains passed by occasionally and cyclists traveled along a bike trail running parallel to the river. The group encountered fishermen, kayakers, and a couple with a swimming dog. Wildlife sighted included red tail hawks, a groundhog, and a cat. 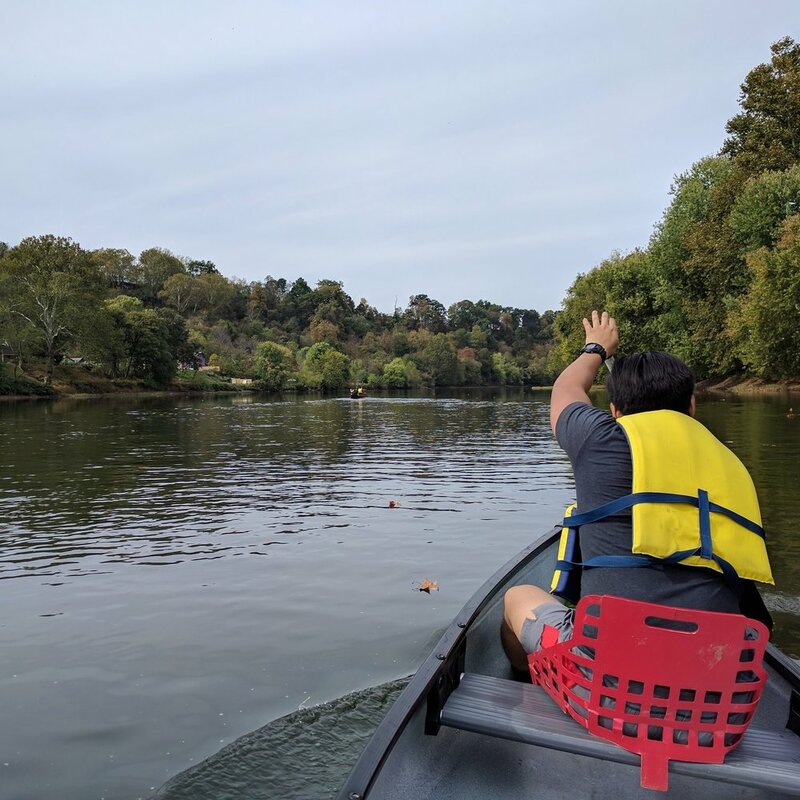 Other than a few areas of very light rapids where the water became significantly more shallow with minor submerged obstacles, the journey was smooth and unrushed. An excursion such as this would be perfect for beginners, and this particular outfitter does offer longer trips.